We love Sugar Pinecones tucked in cedar on a mantle, wired to a great Fall wreath, or placing them in a centerpiece on a dining table or buffet. They are huge measuring usually between 9-18 inches long. 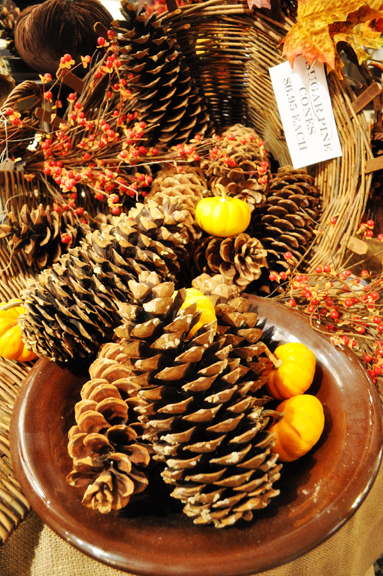 They are the longest and largest pine cones and are wonderful to add a touch of nature to your Fall and Winter look.